Introducing On TV Tonight's official TV listings guide for iPhone, iPad and Android. 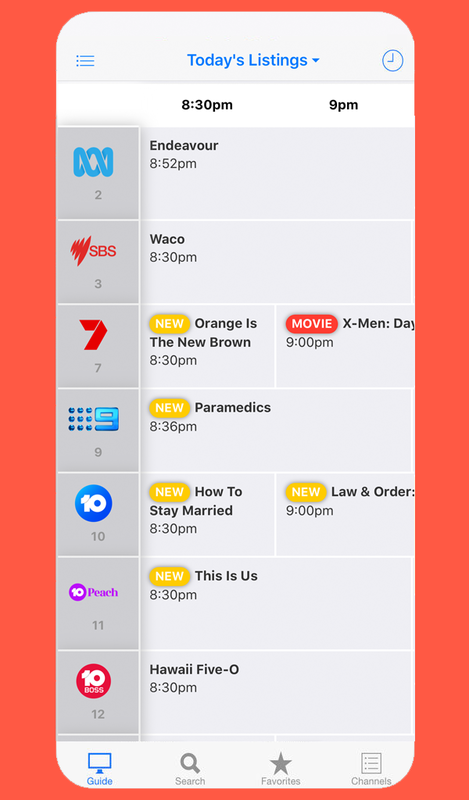 Produced by eBroadcast, Australia's most trusted TV resource, On TV Tonight's 100% Free TV guide app is now available in Australia on the App Store, Google Play and the Amazon Appstore. Simply enter your location to find out what's on TV! You can also search the guide to find out when your favourite TV show is on this week and add your most watched shows to a favourites list. Viewers can browse the listings of every channel, in every region of the Australia. If a TV channel is not often watched, it can be removed from the schedule instantly and put back on if desired.